I don’t own many books that could be considered middle grade, but Roll of Thunder, Hear My Cry is one that is near and dear to my heart. My late uncle, a teacher, challenged me to read all of the Newbery Medal Winners before I completed sixth grade, and this was one of the few that left a strong impression on me. It was one of his favorites, too–he taught it yearly in his own sixth grade classes. 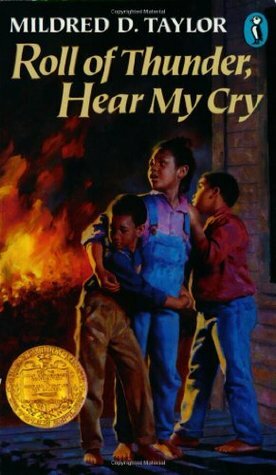 Roll of Thunder, Hear My Cry was the sixty-sixth most challenged/banned book from 2000 to 2009.